House of Benjamin Dionne, facing the Mansion House, around 1900. 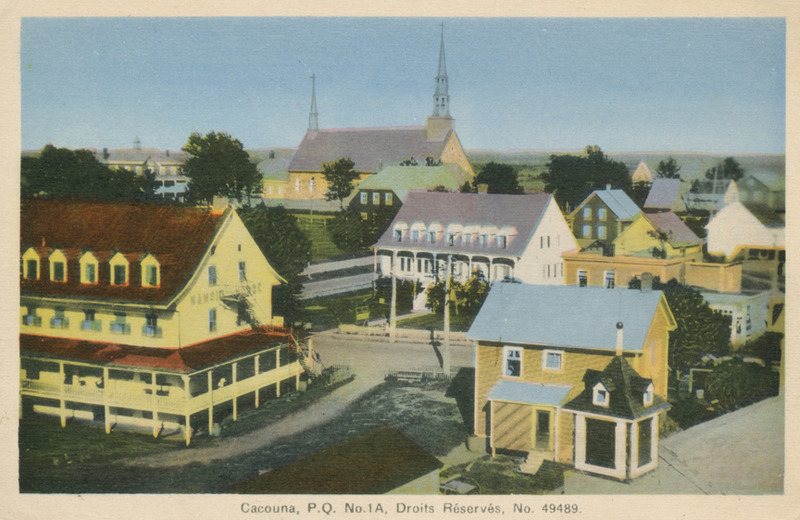 Benjamin Dionne, a merchant and native of Kamouraska, settled in Cacouna in 1824. He set up a store in his house on the north side of the road. In 1844, he bought the corner lot on Rue de l’Église, built a new home and relocated his store. The north side of Cacouna, corner of De l’Église and Principale streets, around 1940. The Benjamin Dionne residence, with its wide entrance, balanced facade and elegant gallery shaded by flared eaves, is similar in style to the houses of his native Kamouraska. Benjamin Dionne was elected mayor of Cacouna in 1845, was the first Member of the National Assembly for the county of Témiscouata from 1854 to 1861, and acted as trustee during the construction of the church and presbytery. He was also one of the benefactors of the convent. The Mansion House, around 1900. The St. Lawrence River did not serve solely for the transportation of merchandise. As early as 1851, the steamer Rowland Hill, out of Quebec, began stopping at Cacouna with passengers coming for a saltwater cure. 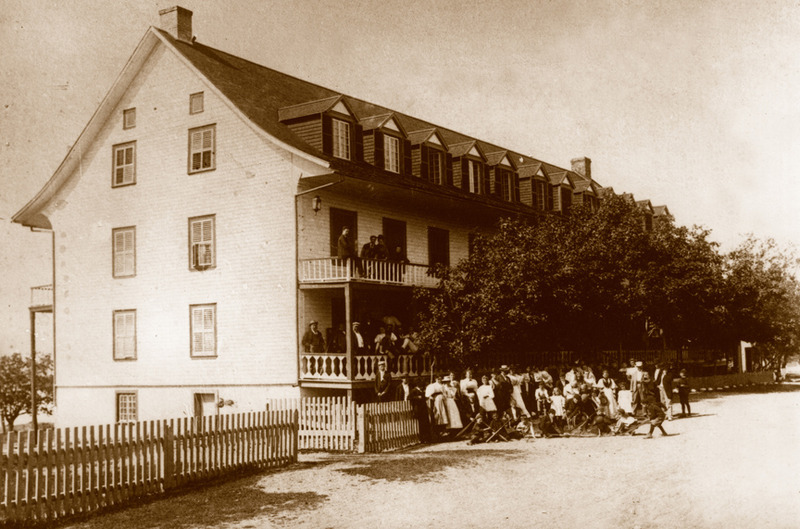 With this influx of tourists, Benjamin Dionne decided in 1852 to build a large establishment which he leased to several hotel operators over the years. 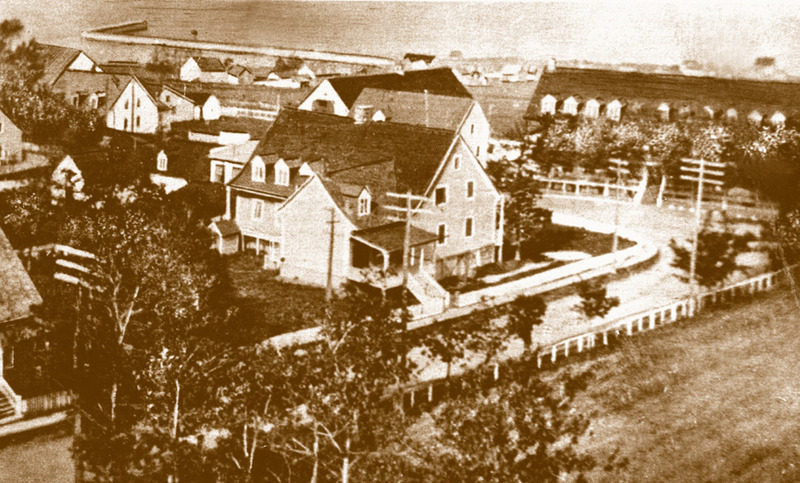 In 1911 Joseph Bélanger, who had made his fortune during the gold rush and thus earned the nickname “Monsieur Klondike”, bought the house and the hotel. Together, the two buildings were called Mansion House, and remained in the Bélanger family for 53 years. Unfortunately, the hotel burned down in January 1966. Along the years, this hotel, built in 1852-1853, was called St.George’s Hotel, Jean’s Hotel, Kakouna Hotel and Mansion House (around 1890).